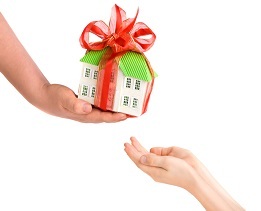 Can you transfer your property before death without it affecting your Centrelink pension? More and more I am being asked by clients about transferring their property to their children or other relatives before death in order to try and avoid a claim on their estate. Like anything, the advice on whether to proceed with this is dependent on each person’s individual circumstances. The majority of people seeking to do this are retired and often rely on a Centrelink pension for survival. If property is to be transferred, it is important to make sure that it is done in a way that does not affect your Centrelink pension. Centrelink have in place ‘granny flat’ provisions which allow you to transfer your property to someone else without fee and without it affecting your pension provided you retain a lifetime right to live in the property. There must be a written agreement in place to prove this right. • Stamp Duty: Stamp Duty will still be payable by the person to whom you transfer the property. Stamp Duty is based on the market value of the property. In order to calculate Stamp Duty you will need to obtain a valuation from a property valuer. Stamp Duty for a transfer of a property valued at $500,000 is $17,990. The valuer’s fees are in addition to the Stamp Duty. • Capital Gains Tax: If you transfer the property to someone and it is not their principal place of residence, then there may be Capital Gains Tax implications for them. • Succession Act claims: If someone makes a claim against your estate after your death, and you have transferred property during your lifetime in order to avoid that potential claim, the Court can, in certain circumstances, order that the property is to be transferred back to the estate for the purposes of satisfying the claim. In making this decision, the Court will look at what has happened including the length of time between the transfer and the death. The longer the time period, the less likely they are to order the transfer back to the estate. • Family Law claims: The Family Court can set aside transfers of property where they suspect that property has been transferred in order to avoid a Family Law claim. It is also important to visit Centrelink and discuss your proposal with them before you implement anything, to make sure that they agree that the granny flat provisions will apply to your individual circumstances. If you are thinking about transferring property in any of these circumstances, contact our Estate Planning Team for further information.